FreeSound is also moving forward, away from FTP-submissions, away from CC-Sampling+, although it seems that noncommercial licenses will be supported. 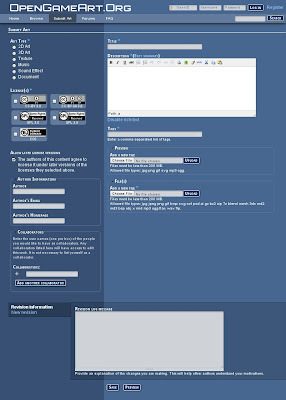 A beta of the new site is open for public testing! 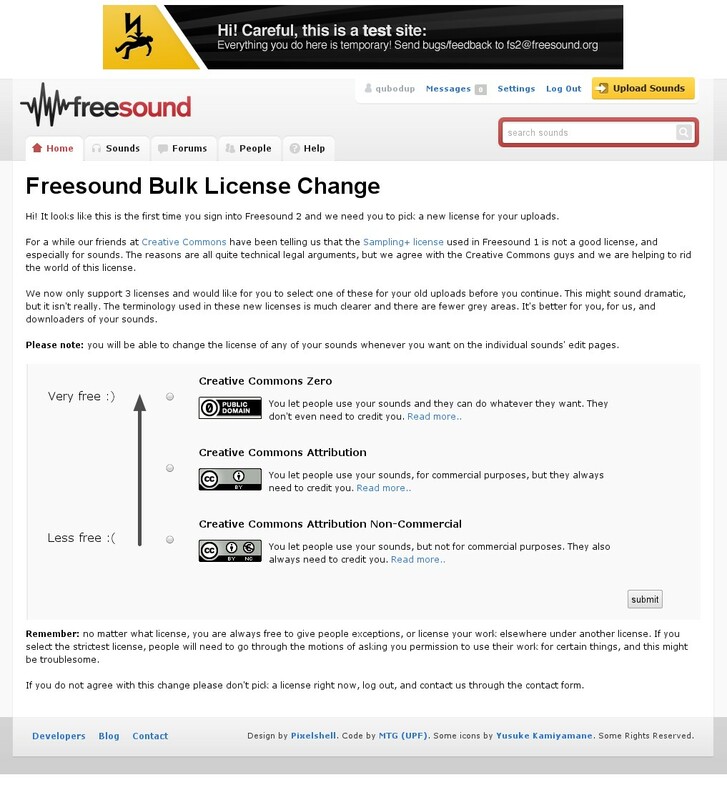 If you're a FreeSound contributor, please log into the new site and select CC0 or CC-BY. Does any of these submission forms scare you away? 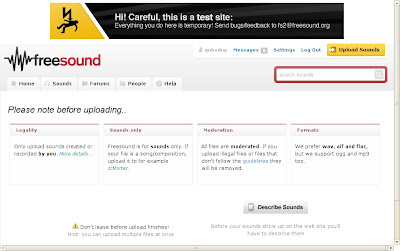 Did you notice an obvious interface design mistake? Got any libre art sharing news to spread? Let us know in the comments!